North Charleston is an energized city offering affordable real estate and diverse neighborhoods in proximity to job centers and Charleston International Airport (CHS). Park Circle neighborhood, designed in the early 20th century by Frederick Law Olmsted’s firm, has become one of the region’s trendiest neighborhoods, where artists, entrepreneurs and young families are breathing new life into classic bungalows. 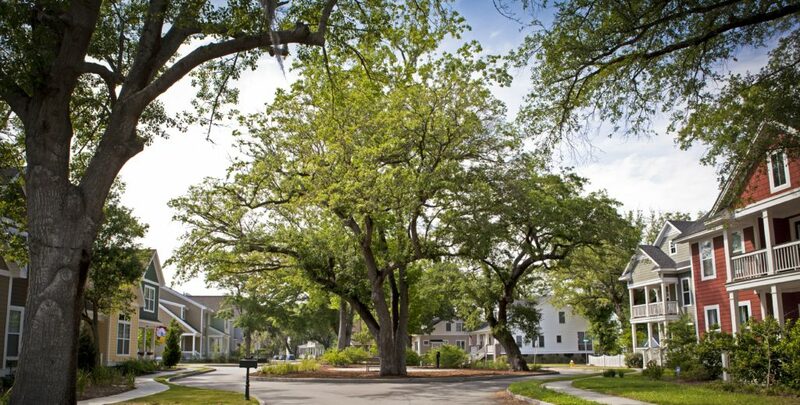 Nearby, new construction at Mixson and the sustainably-minded Oak Terrace Preserve are close to the restaurants and shops on North Charleston’s old main street, Montague Avenue, and to the city’s lovely Riverfront Park. This centrally located city covers all three counties and is a fast-growing hub for business. It’s home to Boeing South Carolina as well as the Charleston Area Convention Center and Performing Arts Center, and Trident Technical College. For more information on North Charleston in Dorchester County, click here.